How to Green Your Beauty Routine. 10 Ways to Green Your Beauty Routine. A green lifestyle can involve many sacrifices, but looking your best doesn’t have to be one of them. Making the right choices when it comes to skin care and makeup products, along with developing a few good habits can go a long way. Learn how to green your beauty routine, even if you’re not going to switch to 100% natural products in completely recyclable packaging. Try these simple tips to reduce waste and protect yourself from dangerous chemicals. Forget about the marketing and buzz words that sound green. It’s important to check the list of ingredients yourself. As a good rule of thumb, the less ingredients a product has, the less likely it is to include toxic chemicals. Ignore the claims of “natural” and “green”, and always check for yourself if the products that you’re about to buy are up to your standards. From lotion to facial cleansers, the products that are in touch with your skin on the biggest areas and for the longest time are the right place to start. If you’re going to green your beauty routine, start choosing shampoo and moisturizers with the least toxic ingredients. Body wash should also be eco-friendly, but you don’t have to replace every single product you use with an organic and green alternative. There are many synthetic chemicals that aren’t green at all, and can even cause products for your healthy when used too often. Some of the biggest offenders include formaldehyde-releasing preservatives (DMDM hydantoin, diazolidinyl urea, imidazolidinyl urea, methenamine), DEA (diethanolamine), TEA (triethanolamine), parabens, SLS, PEG compounds, and coal tar dyes. Even if you choose the right products, you might still be using a bit too much on every application. Try to scale back and analyze if you’re getting the same effect using less. Nontoxic cosmetics won’t put your health at risk, but using less is definitely the green options. Another way to go green is to find the right multipurpose products. You won’t just spend less money, you’ll also have to deal with less waste. 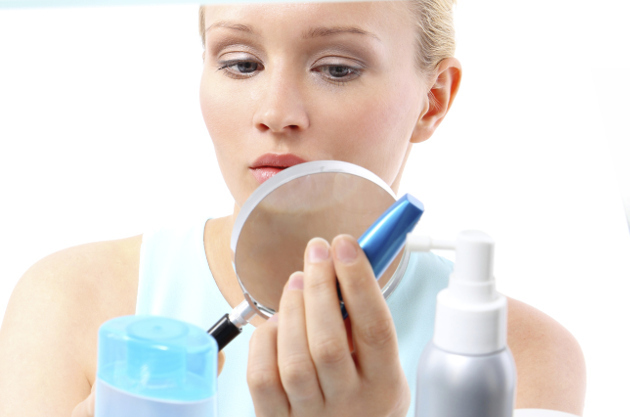 From stains that works on different areas to BB creams, there are plenty of options to choose from. Just make sure that you keep sunscreen as a separate product in your skin care routine, since neither moisturizers nor makeup products can provide adequate protections, despite a high SPF. When you read “fragrance” on labels, remind yourself that it could contain hundreds of different chemicals. 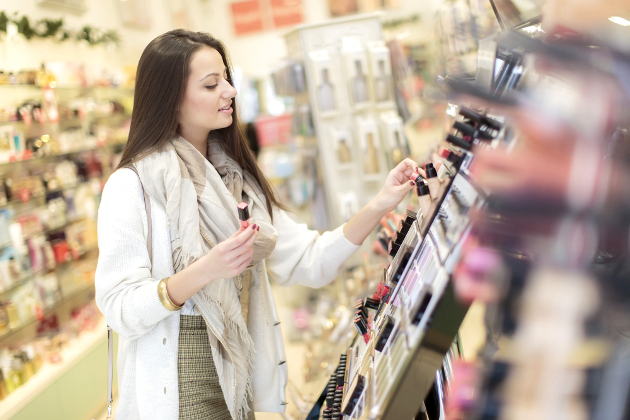 Going fragrance-free is definitely a good idea, since some synthetic fragrances also contain phthalates. Green your beauty routine by avoiding products with fragrance when possible. Waste is never green, so make sure that you make the most out of your products. You can squeeze tubes with a wringer to get everything out, or even better, look for packaging that’s easier to empty. Stop pumping mascara and run it under hot water to continue using it the right way. Buying products that have recycled packaging is one of the simplest ways to green your beauty routine, so start paying attention to the symbols. Plastic containers type 1 or 2 can be recycled just like regular plastic, but some caps and bottles are harder to recycle. Brands like M.A.C., Aveda and Origins provide special containers in store to recycle harder plastic. Make sure that you’re not doing unnecessary touch-ups by messing with your makeup before you leave the house. The most common touch ups is your lipstick, so start using straws (preferably reusable glass straws) in order to protect the color and minimize reapplications. While most cosmetic brands have a green line, one of the best ways to green your beauty routine is to support the companies that have strict policies when it comes to recycling and avoiding toxic ingredients.